In February, Latina magazine listed “6 Afro-Latinas Who Are Changing the World.” Naturally, Miriam Jiménez Román was second on the list. Her work as a writer, professor and head of the Afro-Latin@ Forum has educated the world about the Afro-Latin experience and made her an authority on the subject. Her latest work, The Afro-Latin@ Reader: History and Culture in the United States, has been hailed for critics for its diverse portrait of Black Latinos in America. Jiménez sat down to speak with Los Afro-Latinos about the book, Afro-Latinos in the media and bridging the gap between African Americans and Latinos. Los Afro-Latinos: Why did you publish The Afro-Latin@ Reader? Miriam Jiménez Román: After the 2000 Census was released [the mainstream media], basically posed Latinos and African-Americans in a Black vs. Brown dynamic. And it gave the sense that the [United States] was evolving into this post racial state and we didn’t really have to talk about race anymore. Latinos didn’t have a concern about race because the Census says Latinos, the largest minority group, can be of any race and this is a demonstration of overcoming race in [the United States]. My co-editor [Juan Flores] and I and a number of other people were appalled by that kind of analysis. First, we’re not in a post racial state. Race is still a very important part of how all of us – globally – live our lives. African-Americans and Latinos need to get together, create change that will benefit not just Latinos and African-Americans but all people of color. Second, my co-editor and I had been teaching courses on race and ethnicity and gender for many years. 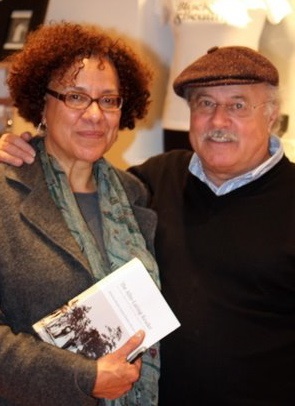 He started doing a course on Afro-Latino history and culture – first at Hunter College and then at New York University. In our seven or eight years, at the graduate and undergraduate level, these courses were very popular. We realized younger people were open to the things we were talking about. Third, we felt it was important to link what was going on in the United States to what was going on in Latin America and the Caribbean. The United Nations’ conference, Durban, South Africa in 2000, laid forth realities of living as African descendents throughout the Americas, particularly in Latin America and the Caribbean. Fourth, as Juan and I went around doing talks and workshops – with middle school children—it was an informative experience. For example, many children thought we just invented this term [Afro-Latino]. Many had difficulty grasping the history and culture. In response to all of this, we thought a book was necessary. We asked a few people to write original pieces. And that’s as short an answer as I can give to why we started the book. 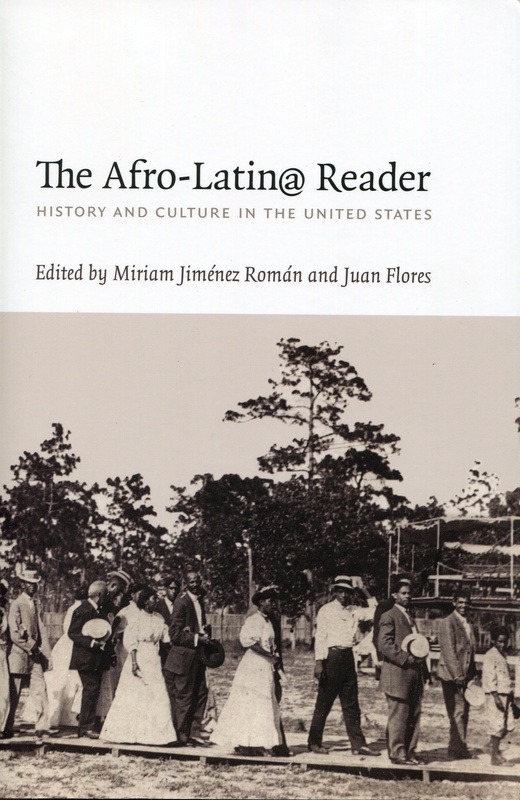 LA-L: You and Juan Flores edited essays for The Afro-Latin@ Reader. Do you have a favorite(s) or one that sparks a particular chord or resonates with you? MJR: Yeah, there are a few. The one that comes up most frequently, “Negrito Acompleajo” by Eduardo Bonilla-Silva, which explores how discrimination operates in a Puerto Rican context. The essay is personalized and includes a conversation he had on the topic with his father. Guess what, I had a similar conversation with my father. Eduardo Bonilla-Silva was puzzled that I was so interested in the topic – I’m fairly light-skinned for Afro-Latinos. He didn’t understand why I insisted on identifying as a Black woman. The way ideology is constructed in Latin America –if you claim Blackness or talk about race, it’s because you have some kind of complex; you just can’t seem to deal with the world the way it is. It’s a good way of silencing any kind of protest against discrimination because people think you’re saying because you have a problem, it’s your personal problem not collective discrimination. Whether we look at race as a fixed notion or culturally constructed concept it is very real. Race itself is an invention, a creation. Many people feel race is something that’s fixed, rigid and doesn’t have variances. By looking at Afro-Latinos, you kind of get a better sense of how fluid race has been. People have constructed it in different ways depending on conditions and circumstances. LA-L: Anything you want people to know after reading the book? MJR: When we discussed how we would do this book, I said I wanted a book that addressed some of the concerns I felt when I was young. This kind of book should have been around when I was a kid because blackness was equated with being African-American. This limited view left me concerned about my blackness because I grew up as a Black Puerto Rican and I’m very conscious how race and ethnicity have both impacted my life. One of the strengths of the book is it’s an eclectic mix of materials, going from the personal essays to academic research, including statistical and historical data. The Afro-Latin@ Reader has a full range of essays that touch your heart and others that push your mind, giving you new ways of thinking of race and ethnicity. Its broad range explores the ways people think about and understand race. 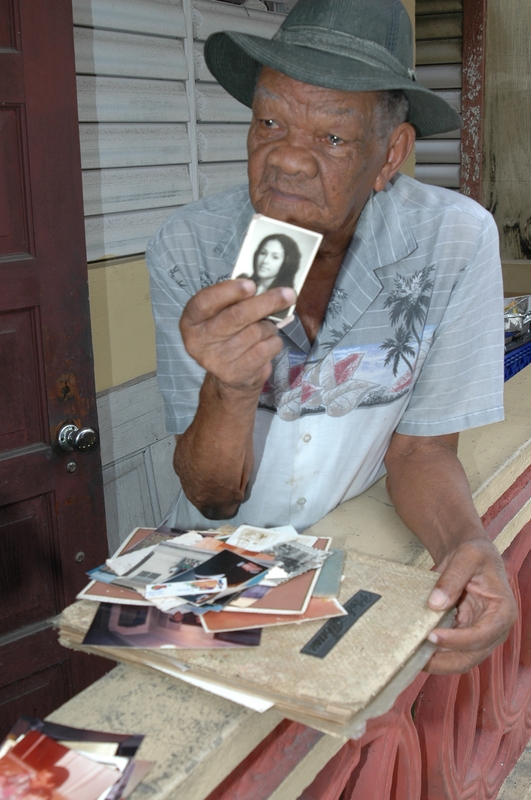 Rafael Benito Lassalle telling his story to the Afro-Puerto Rican Testimonies Project, Aguadilla, Puerto Rico, 2007. Photographer: José Irrizarry. LA-L: Are there any countries working to acknowledge the historical and cultural impact of their African roots? MJR: Every single country in Latin America and the Caribbean is doing that, including places you would never imagine like Chile and Uruguay and Paraguay, all have Black advocacy organizations. The only exception is El Salvador. And I think we can contribute some of the reluctance to organizing to El Salvador’s civil war. The political instability works against organizing. LA-L: Are images and media representations of Afro-Latinos changing in Latin America or the United States? MJR: That depends on what you’re talking about. Within Spanish language media, that has not changed at all. There are very, very few Black-Latinas and Latinos in Spanish language television. When they do appear, more likely than not, it would be a negative depiction. It is very unlikely that Blacks would be in a Latino production. The book is important because it traces Black Latino experiences and demonstrates — our invisibility when one discusses Latinidad. LA-L: How has the role and importance of Afro-Latinos evolved in the United States and Latin America? MJR: There are different ways of responding to that. Here are two: (1) struggling has been ongoing from the moment the first Africans were brought on American shores (2) struggling for racial equality [in Latin America] is far behind the United States. In the Caribbean, we are not a minority. We are actually the majority. Increasingly in Latin America, what we’re seeing is an organizing around the idea of Mestizajes [or people of mixed heritage or descent]. There are differences in the way people perceive race. In Latin America there is this general concept that because we are all racially mixed, somewhere back in everybody’s family tree there is an African or Indian then we are incapable of being racist because that would be being racist against ourselves. Since most of these countries became independent that has become the guiding line that we are all mixed and because we are all mixed we cannot be racist. “Afro-Latin@s Now! : Strategies for Visibility and Action” conference poster. In the United States the largest numbers of foreign-born Blacks are Latinos. We’re coming from all over, including Mexico. There are approximately 30,000 Black-Mexicans living in the Carolinas. We don’t think of that when we think of Latino immigration in the United States. We think Puerto Ricans, Dominicans, and Central America. Now that the population of people of African descent is increasing in the United States, the ways we talk about race in the United States is becoming more and more like Latin America. We keep denying the importance of race because white people are becoming the minority. LA-L: Do you have any thoughts about Afro-Latinos serving as bridges between African-Americans and Latinos? MJR: Afro-Latinos serve as bridges. The most obvious example would be Arturo Alfonso Schomburg. The Schomburg Center for Black Culture [Harlem, New York, USA] is probably the premiere institution for any type of serious scholarship and research on Africans and their descendants. Schomburg was a Black Puerto Rican who came to the United States from Puerto Rico in 1891 at 17. He became an integral part of the Black community – African American and Caribbean; most definitely he served as a bridge. Most of his writings were about Black Latinos, whether in Spain, the Caribbean or South America. In the process of putting the book together, we discovered a whole series of people who were identified as being African-American because they appeared—Black. There was no real attention to their [Latino] ethnicity even if they spoke Spanish; they served as bridges. Afro-Latinos function in two worlds: African [Black] and Latino. LA-L: What’s next for you? MJR: We started an organization: “The Afro-Latino Forum.” It is a research and resource center where we demonstrate the historical relationship [between African-Americans and Latinos].The premise of the organization is to work together, expanding our history and our culture in profound ways so that mainstream media hype would be laid to rest. 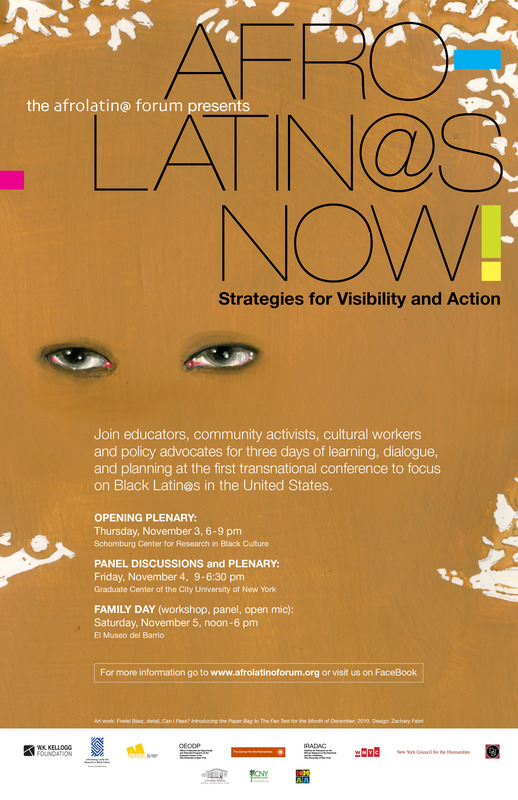 We’re organizing a conference –“Afro-Latinos Now,” visibility and strategies for action. We’re bringing together people who are either doing scholarship on the experiences of Afro-Latinidad or those doing activist work. The plan of action is to create awareness among Latinos and/or African-Americans and agencies that serve them that “ Afro-Latinos Now” is here and is ready to make positive changes. Wonderful article. I appreciate Miriam’s work. There is so much to learn about the African presence. Many Latin people don’t wish to speak of their realationship to blackness which is sad. My mother is a Mexican who did not really like Black Americans yet she married two such men. I think she used them both in her own way. It was the 1940’s and 50’s.and it may have beebn her only way to enter this country!